cursed myself and trimmed it properly. layout process. Then, while everything was still square, I drew a series of index lines across the back. 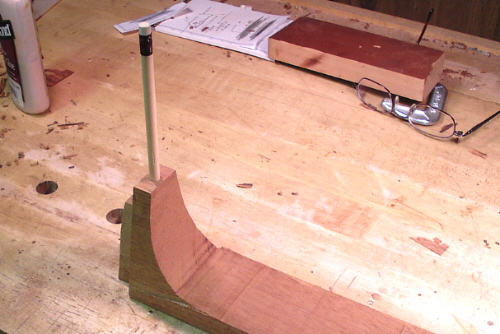 eventually the curved top) it is very tough to figure out what 'straight' is. 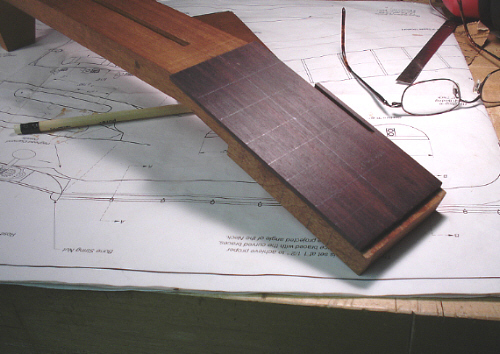 (though not the scale) by the width of the nut. 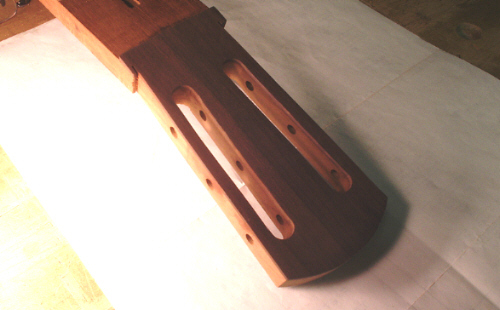 case, here is the neck with the headplate glued in place. 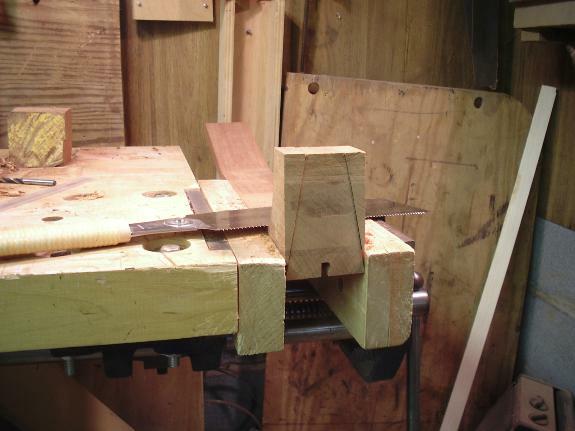 the way, brad-pointed drill bits are absolutely necessary for this kind of work. 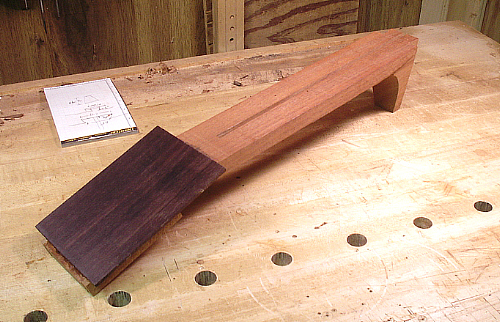 used a very sharp 1-inch chisel held tight against the thick board to true the edges of the slots. 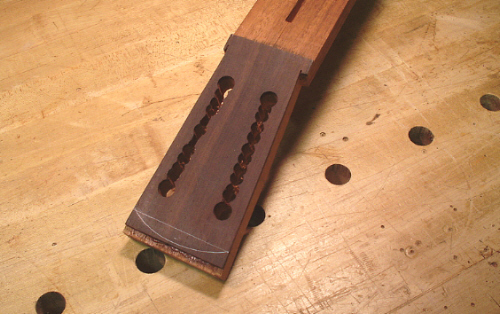 I had finished the outer side of one slot when I realized I had forgotten to drill the tuner holes. 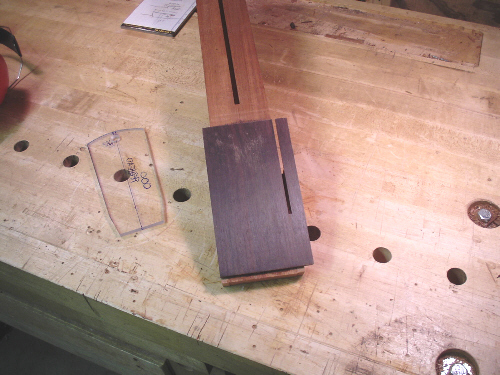 the bit was poking only partially out, and carefully chiseled and sanded the 'exit wound' clear. some blowout, despite my precautions. 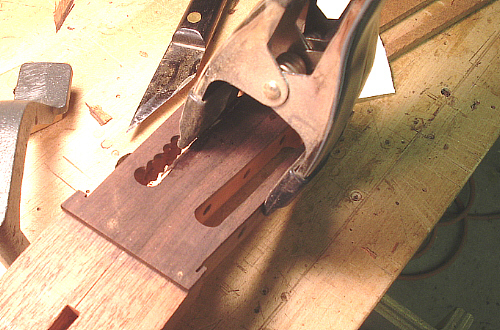 Lesson: Drill the holes before the slots! repairing here as I finish the slot, but hey. By the way, I'm only showing all these screwups because they're educational! 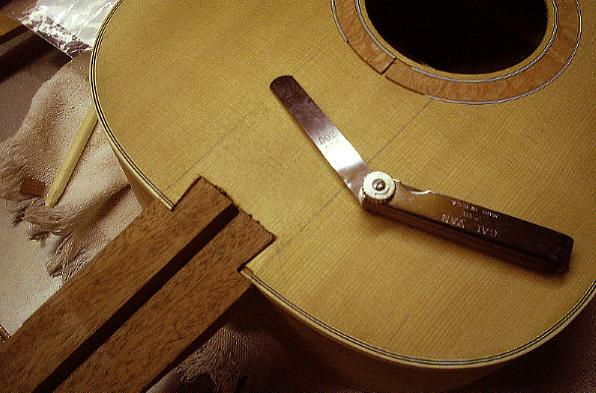 wait until later to cut and inlay the 'key' at the tip. 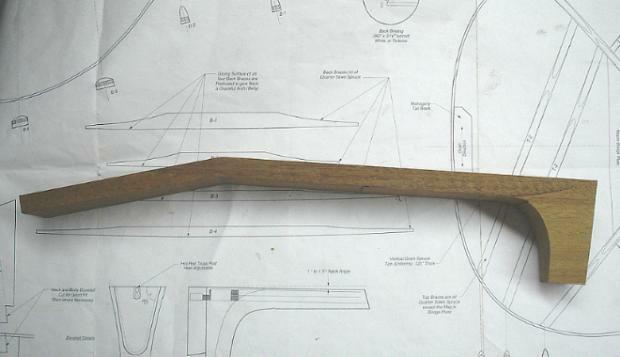 punted on that idea and resolved to do it with chisel and sandpaper again, but do it right. round pencil is, I hope, strong enough for this purpose. 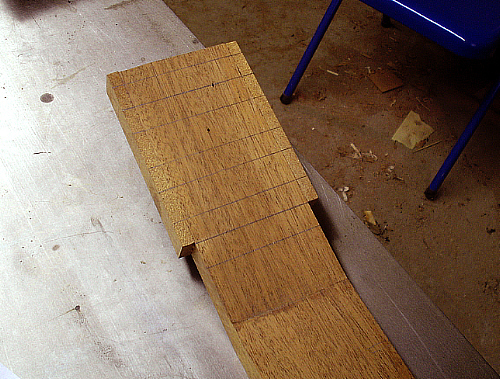 the neck is joined to the body and the fretboard glued on.